(& wedding!) cards and gifts - we are so overwhelmed!! 19.7.16 Pool Party in Foundation! 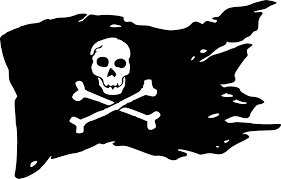 pirate fun day we have had! am Sports Day from Miss Birkinshaw on Vimeo. 10.6.16 - What a fantastic day we have had celebrating the Queen's birthday! 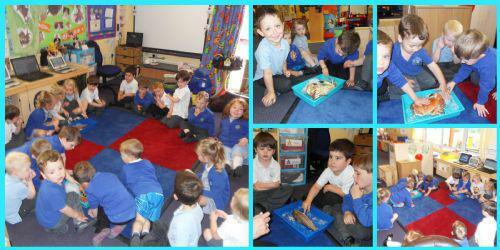 for us to explore - we have had such a great 'fishy' day!! a rhyme for each of them. Here they are so you can practice at home! 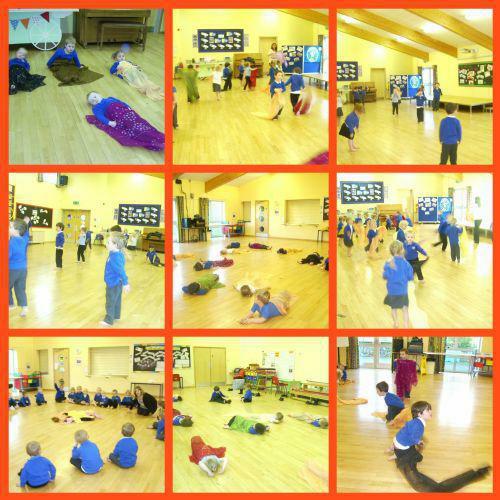 29.4.16 - We had a great time in PE today - the morning children took part in a 'Ninja Tots' session and the afternoon children played some listening games and had a go at moving like different underwater animals....including crabs and starfish! 22.4.16 - What a great time we had in PE today. 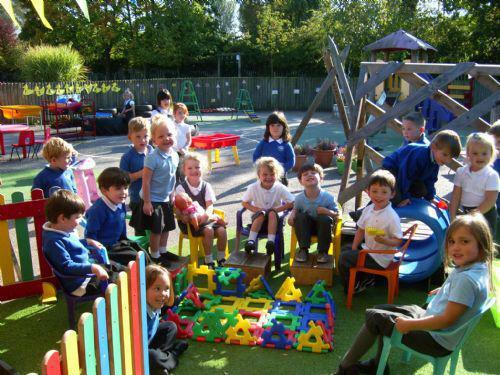 We had the apparatus out for the first time and the children were 'safety superstars'! 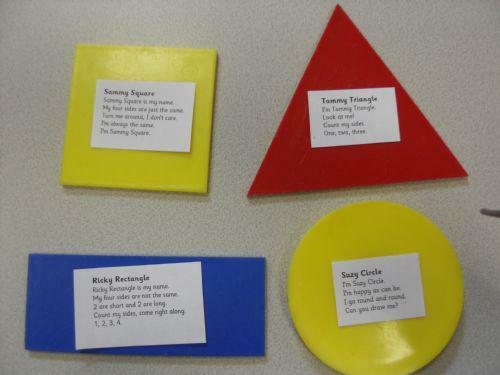 In the Foundation Stage we have 7 areas of learning. Handle large and small apparatus with control. 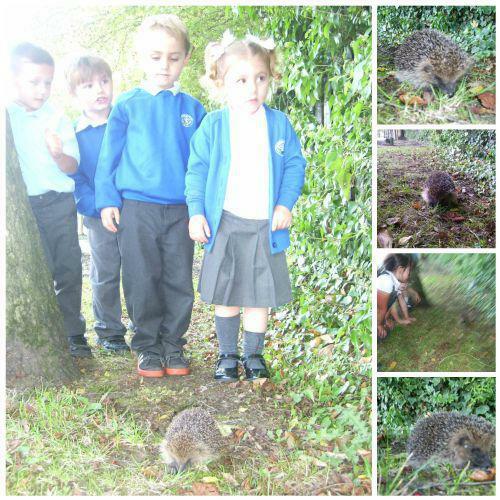 We also have 2 class pets in F1 – meet Nibbles and Truffles! We would love to see photos, pictures and objects from home that are special to your child...and remember to pop things in your child's 'I am Unique' book too. Keep an eye on the website which will give you more ideas of things you can do at home that relate to our topic at school. 24.3.16 - What an 'eggciting' Easter fun day we have had today - including Easter hats and chicks, hot cross buns, Easter egg hunt and disco! 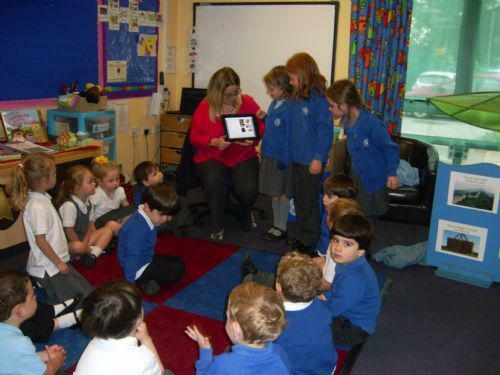 am Easter fun day from Miss Birkinshaw on Vimeo. 17.3.16 This week we have all been on a jungle adventure outside! 8.3.16 - Mrs Waite has been working with us in the afternoons for the last few weeks and today was her last day - we made her a card and gave her some flowers to say thank you and goodbye. time in F1 reading stories and exploring the areas! 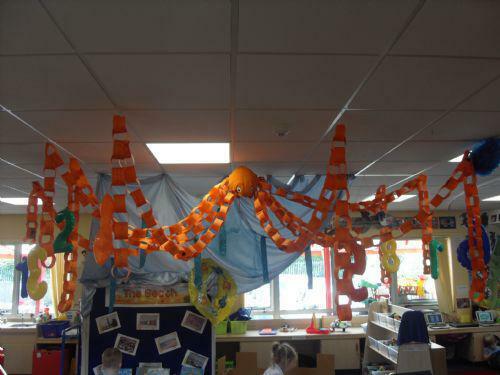 World Book Day we had! am Mother's Day messages from Miss Birkinshaw on Vimeo. pm Mother's Day messages from Miss Birkinshaw on Vimeo. fantastic 'Flying Scotsman' going past! getting the Florist shop ready! we even made the music ourselves! to begin our 'Chinese New Year' theme next week. 14.1.16 - This morning we got so excited as it started to SNOW! We got outside as fast as we could! 13.1.16 - CLEVER FINGERS! 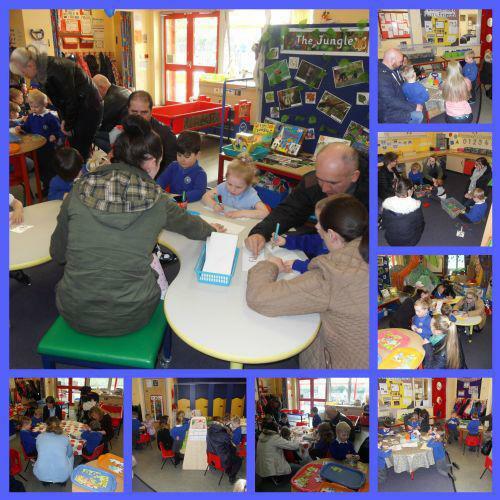 Today Clever Fingers began in the mornings - what a great turn out we had too! Afternoon sessions will begin soon, keep an eye out for the flyer! We have had a great 1st week back in Foundation. 10.12.15 - Here are the photographs we took from the dress rehearsal and a few from concert day! 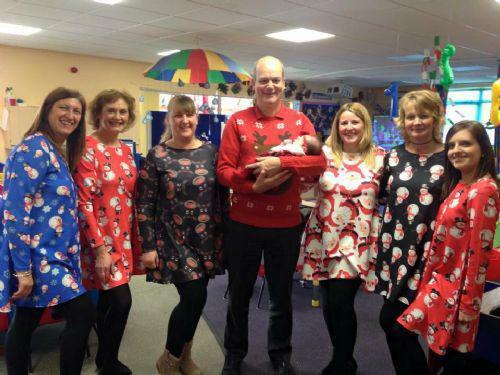 9.12.15 - Here are all the staff ready for Christmas Concert day...complete with baby Ardren who came to watch! 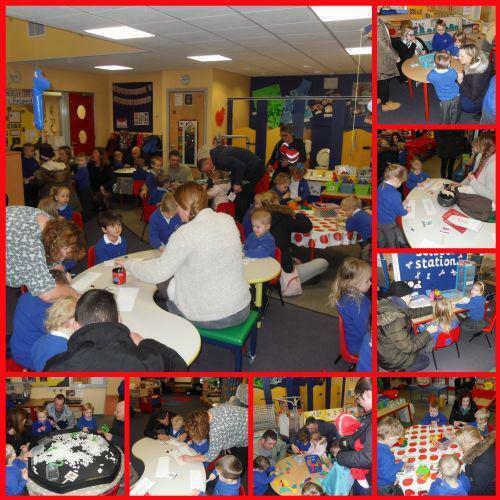 5.11.15 - This week we have had so much fun learning about Bonfire Night. 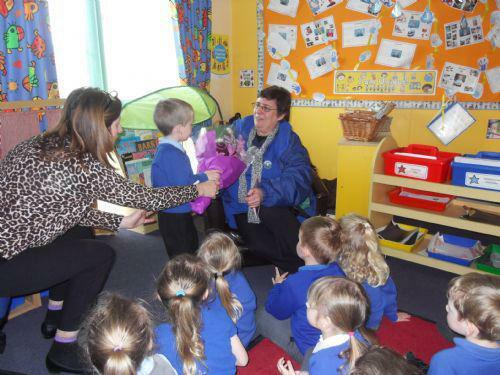 22.10.15 We said 'goodbye' to Mrs Ardron today! We can't wait to see her and the baby again soon! 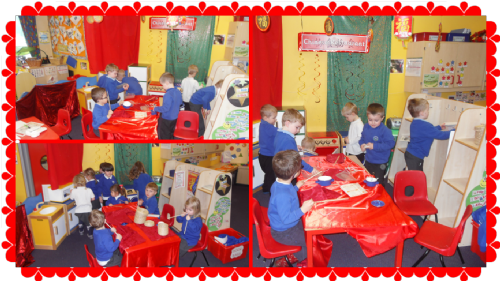 13.10.15 pm - After reading 'The Little Red Hen' - Foundation 2 children made bread with Mrs Pickard. They shared it with the afternoon F1 children - it was so good! 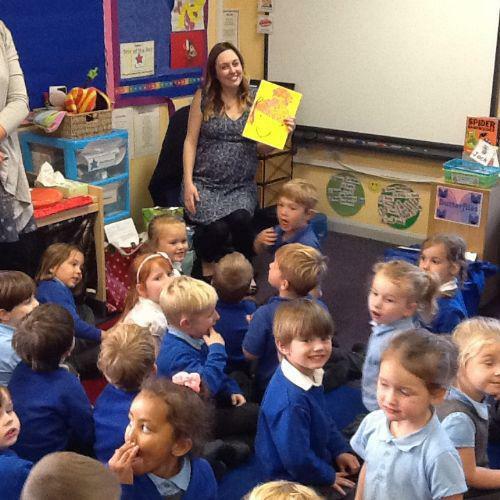 12.10.15 pm - These girls in Year 2 kindly made us a story and came to read it at the end of the day. 12.10.15 am - We had lots of fun playing outside! 9.10.15 - On Friday's we do PE in F1. Please practice putting on and taking off shoes and socks with your child at home. 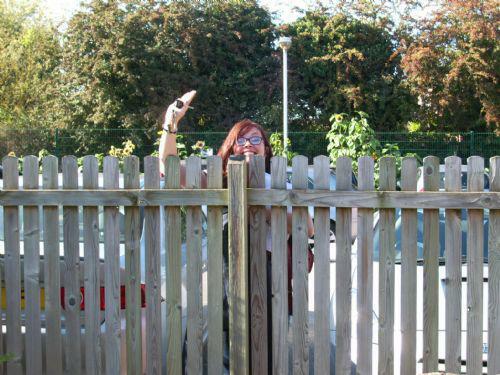 ...and Mrs Thornton was sneaking a look over the fence! 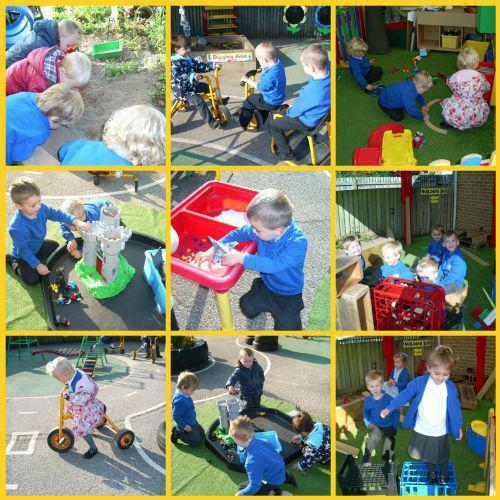 30.9.15 - Today we had so much fun playing in the powder paint outside - we mixed all the red and yellow to make orange!